A number of companies and organisations will be present on Saturday as mentors, and will be ready to help and advise the groups. Cope is a small an independent digital agency. They work with the holistic experience, from strategic brand counselling, data-driven decision making to the final little interaction. During Open Tourism Days, Cope will help you to define the right approach to collect, explore and visualize data about your current and potential new customers – in order to gain new insights and how to turn those into actions that enhance the business and user experience. DELTA – a part of FORCE Technology is an independent hi-tech company helping society and industry with the latest technological development. As a strategic partner, we ensure optimal usage of advanced technology. We develop, test, certify and advise our customers in every phase of their product development, before the product is launched on the market. We help ideas meet the real world. BALDER is Denmark’s insightful tourism agency based in Copenhagen. We work with specialized, tailor-made and content driven quality leisure travel to Northern Europe, for both groups and independent travelers, develop Business & Special Interest Tours and consult on tourism-related projects. Our specialty is our in-depth knowledge and know-how of tourism in Northern Europe. Horten is a leading Danish lawfirm specialised within sectors characterised by strict regulation or where technological development and innovative approaches are fundamental. We use our special expertise within regulated areas to solve complex problems and think innovatively, be it new energy forms, advanced technology or cooperation between public and private parties. LuggageHero is a tech-based startup that has innovated the way we store luggage by using local shops luggage drop-off points. LuggageHero is a new way to market local shops with a very strong consumer group. LuggageHero will contribute with expertise in launching tech-based solutions and engaging a local network to provide Europe’s main travel destinations with a convenient travel experiences. Seismonaut is a consultancy specialising in transformation in a digital and creative economy. 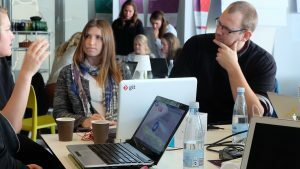 They help companies and organisations grow and strengthen their businesses through knowledge of digital business development and strategy combined with human centred insights, innovation and communication. During Open Tourism Days, Seismonaut will help you explore new ways of creating digital relations with your customers. The Alexandra Institute is a non-profit Approved Technological Services (GTS) company working with research in open Data among other areas. Through projects we have gained great insights on Open Data platforms and the use of data. Currently, we’re working with Wonderful Copenhagen to collect and analyze data on tourism. WElearn is a design agency that specialises in learning and behaviour design. They help companies to transform learning about their own products into a desired change in behaviour amongst their clients. 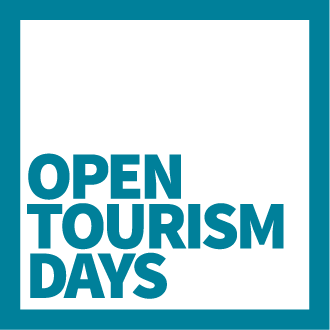 During Open Tourism Days WElearn will help you discover how your ideas can be designed so that your future users exhibit the desired behaviour.